CLEVELAND -- Baseball Commissioner Rob Manfred has made his strongest comments on wanting the Cleveland Indians to eradicate their Chief Wahoo logo. Manfred has been in talks with Indians owner Paul Dolan about abolishing the divisive symbol, which has sparked debate for decades. In the past, Manfred has only gone as far as saying he understood why many people find the logo offensive. Now, Manfred appears to be pressuring the Indians, who have reduced Wahoo’s visibility in recent years, to make more significant changes. MLB spokesman Pat Courtney said in a statement to The Associated Press on Wednesday that league officials are confident about reaching a positive resolution for the game and the club. On Tuesday, protesters gathered outside Progressive Field to demonstrate against the team’s usage of the red-faced, smiling logo, which has been part of the team’s history dating back to the 1940s. The Indians have decreased Chief Wahoo’s profile, switching their primary logo to a block “C’’ several years ago. 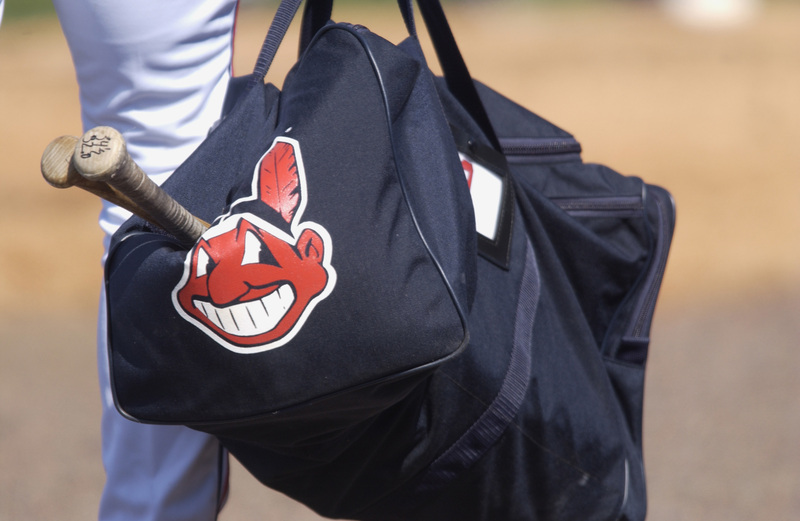 However, the symbol still appears on some of the sleeves of some of the team’s uniforms and caps and the Indians have continued to sell Wahoo merchandise. Some anti-Wahoo protesters want the team to change its nickname as well. “We are people, not mascots, not logos, not imagery,” said Carla Getz, a member of the Potawatomi Tribe. Getz was one of several dozen peaceful protesters that chanted for change on a plaza outside Tuesday’s game. There is also a sizeable contingent of Cleveland fans who understand the viewpoints of protesters, but cherish the logo and don’t want the team buckle to pressure to abolish it. The Indians were recently awarded the 2019 All-Star game, and a possible compromise could be the Wahoo logo being completely removed from uniforms. Bob DiBiasio, the team’s senior vice president for public affairs, said Dolan and Manfred have had ongoing dialogue since the World Series last year. “We certainly understand the sensitivities of the logo, those who find it insensitive and also those fans who have a long standing attachment to its place in the history of the team,” he said.